Following a successful two years of sales and DLC, Fallout 4 will be receiving a Game of the Year edition which includes the base game, already updated, along with its six add-ons: Nuka-World, Vault-Tec Workshop, Contraptions Workshop, Far Harbor, Wasteland Workshop and Automatron. Survival mode from the March 29th, 2016 update is also available in this version. 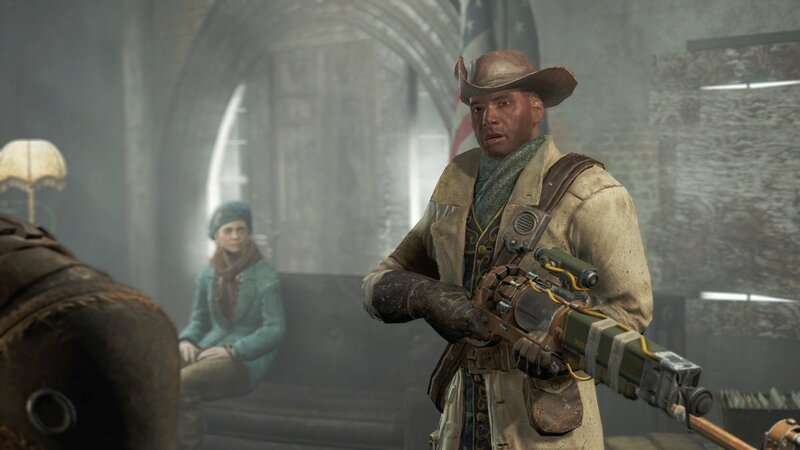 Survival mode is the ultimate challenge for Fallout 4 where you have to deal with more restrictions such as ammo having a set weight, fast travel being disabled, and more, damaging punishment for being over-encumbered. In addition to the stand Game of the Year edition, Bethesda is releasing a limited edition “Pip-Boy” collectors edition for $99.99. This includes the wearable Pip-Boy, Pip-Boy Pocket Guide, Vault-Tec Poster, and Fallout 4: G.O.T.Y. Fallout 4: G.O.T.Y and the special Pip-Boy edition will be released on September 26th for Xbox One, PlayStation 4 and PC. For more information, check out Bethesda’s website. There is no word on whether or not October’s Fallout 4 VR will be the G.O.T.Y edition.